Brand Alley sale information, discount code and recent bargains. Posted and verified by our community of bargain hunters. 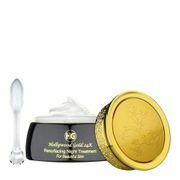 RITUALS Ayurveda Balancing Treat Gift Set - 38% Off! 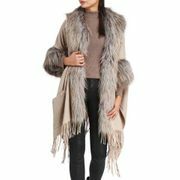 BrandAlley is a UK-based online fashion retailer launched as a joint venture between News International and BrandAlley France in 2008. The company usually runs flash sales of designer brands which typically last for 4 to 5 days. Visitors of the website must be members in order to view sales. Signing up is free and members are gives access to up to 6 new flash sales each day. They are a non-stop designer sale and your one stop. Members-only destination for lavish living on a budget. They offer exclusive with highly in-demand pieces, which means time if of the essence. Their insiders can also unearth designer treasures from the permanent Outlet, where everything is delivered within 2 to 4 working days. 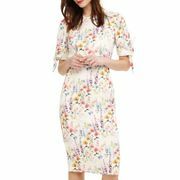 Their team of highly-experienced buyers work hard to bring to the table the labels they know their members love such as 7 For All Mankind, FitFlop, Elemis, Gucci, Jimmy Choo, Michael Kors and so much more. They only buy their stock directly from suppliers once an order has been placed which results in providing their members with the best deals in a slightly longer waiting time but the savings are impossible to resist that’s why their existing members have quick to adapt their shopping habits to plan ahead. Here at Latest Deals you will find the best and the hottest BrandAlley sales, offers, discounts, voucher codes and coupon codes out there! Our massive community of bargain hunters are always on the lookout to find the best possible deals to post for our members! Their online shop offers womenswear, menswear, accessories, jewellery, footwear, homeware and beauty products. They offer up huge savings on over 500 of the biggest names in fashion, beauty and home. Here, does not exist, everything from Michael Kors bags to Dyson fans is up to 80% off the RRP. You order and they give you an estimated shipping date. The sale ends and they place one big order with the brand. Stock arrives at their UK warehouse, where they pack and ship it to their members. Their members open their amazing designer bargains. Tom’s Tip: Give your friends £15 off when you invite them to shop at BrandAlley and they place their first order. And to say thanks they will give you a £15 off voucher for each friend who purchases for the first time. How do I contact BrandAlley? You can find answers to general questions and enquiries on their FAQ page. Alternatively, if you can’t find what you’re looking for, you can use their Online Contact Form to email them. You can contact Customer Service on 01206 226410. What are the delivery options for BrandAlley? No matter how many sales you shop from them, you’ll only pay £5.95 for postage and packaging shipments to Mainland UK or £7.95 for postage and packing shipments to Ireland and the Channel Island. Their delivery dates vary depending on whether their suppliers need to deliver stock to their warehouse after you have purchased. You will find the delivery date for each sale displayed on the sale and product page, and at the checkout stage. Items available to them right away are usually delivered within 2 to 4 working days however, the whole process, including delivery, can sometimes take up to 15 to 20 working days. For more information, visit their FAQ’s. How do I return an item to BrandAlley? You have 14 days to return your parcel back to them from the date of delivery. All items returned must be unused and in their original packaging. Make sure to use the returns form included inside your parcel when sending your return back to them. Your refund will be processed within 14 calendar days of receiving your return. Returning items is your responsibility along with any expenses this will incur. If you have chosen to use BrandAlley's Royal Mail returns service, £ 3.50 will be deducted from your refund to cover the cost of this service. As they return to the RHS Chelsea Flower Show, they catch up with garden designer Paul Hervey-Brookes and BrandAlley marketing director, Melissa Littler as they talk through their plans for the 2014's Italian Renaissance inspired garden.